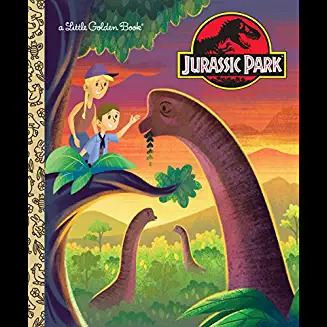 Jurassic Park Little Golden Book Comes Out Soon! Hey, everyone! The Jurassic Park Little Golden Book, written by yours truly, will be out on February 6th, 2018 from Penguin Random House. It’s an adaptation of the 1993 film Jurassic Park, written as a Little Golden Book for very young readers. All of the excitement of dinosaurs, with none of the gore! 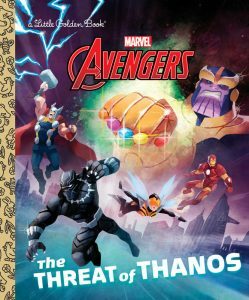 The book is coming out to commemorate the 25th anniversary of the movie. I think the book really turned out well and I’m quite proud of it. It’s also the closest I’ve come to working with Jeff Goldblum (so far). The Jurassic Park Little Golden Book was illustrated by Josh Holtsclaw, who did an incredible job. Check out the book’s page on the Penguin Random House site. Check out the Amazon page for the book. Find out more about some of the other books I’ve written for Penguin Random House.